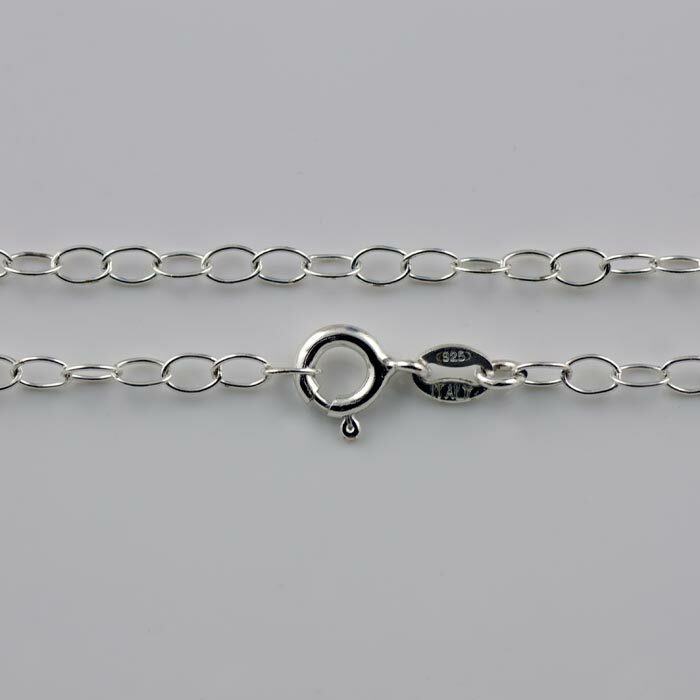 This is the Sterling silver flat oval cable chain included with the Grandioso sterling pendants. 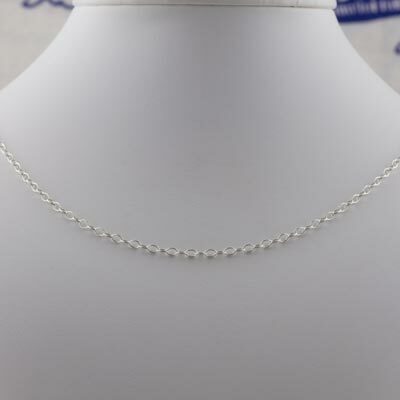 Fine Italian Giotto links are what set this sterling silver chain apart. Glistening mirror polish springring clasp. Size: Width 2.75 mm. 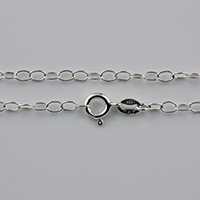 Length - 16, 18 and 20 inches are premade and have a sterling chain tab as shown. Also available in Lengths 24, 30, 32 and 36 inches.